Residency in the Village Homes is limited to adults age 55 and older. Each prospective resident completes an application for residency. Once the applications are approved, names may be added to a wait list for a specific style of duplex or home in the Village. 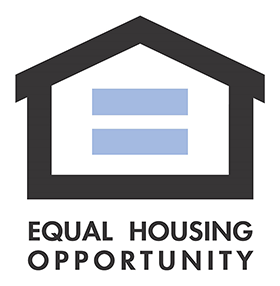 As duplexes and homes become available, prospective residents will be contacted and pay to hold the duplex or home with the intent that closing will take place 30 days later. Hubbard Hill is happy to assist with moving and packing companies, realtors, and decorating consultation. In assisted living, residency is limited to adults age 62 and older. Each prospective resident completes an application for residency, submits an entrance fee, is assessed by a nurse, must provide a current history and physical examination by their physician, and show results of a chest x-ray evidencing the absence of communicable diseases. Once an apartment is selected, move-in will take place within 30 days. At the time the lease is signed, the security deposit and rent are paid and keys are given. Hubbard Hill is happy to assist with moving and packing companies, realtors, and decorating consultation. For those seeking admission to our Rehabilitation & Healthcare Center, an application for residency, assessment, current chest x-ray, physician orders, and Pre-Admission Screening must be completed prior to admission.